Practice Labs gives you the ability to configure a wide range of technologies in a safe environment using just your browser. 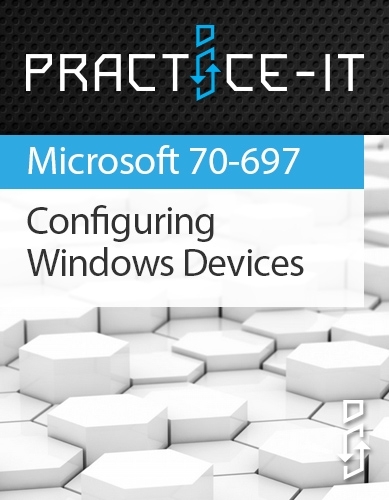 Our Configuring Windows Devices lab guides cover exam and real world scenarios which are carried out on real equipment. 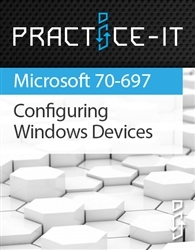 The 70-697 Practice-Lab will provide you with the necessary platform to gain hands on skills in Windows 10. By completing the lab tasks you will improve your practical skills in migrating and configuring user data, configuring Hyper-V, supporting authentication and authorization, configuring IP and network settings, configuring and maintaining network security, supporting data storage and security, configuring file and folder access, configuring shared resources and remote connections, configuring system and file recovery and managing updates. These same tasks will help you understand the objectives and competencies required by the Microsoft 70-697 certification exam.